Although much of Chicago appears very business oriented, sightseers and beach-goers often enjoy spending a day or two exploring the city's best museums. 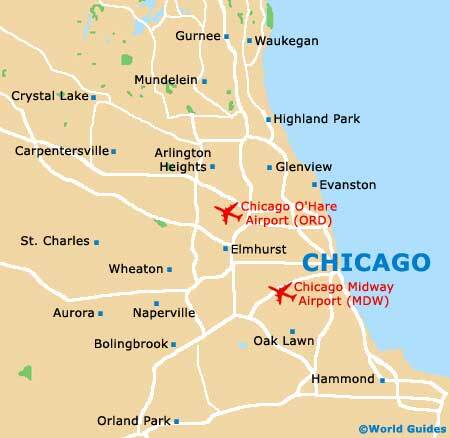 There is a particularly large concentration of museums standing along 5th Avenue and this is often aptly referred to as the Chicago Museum Mile. 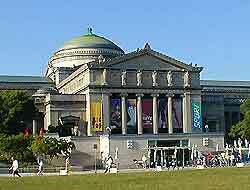 Located on the northern side of Jackson Park and alongside the East Lagoon, the Museum of Science and Industry is actually one of the world's largest science centers and is full of interesting and exciting exhibits, many of which are interactive. Formerly known as the Chicago Academy of Sciences, the family friendly Peggy Notebaert Nature Museum is also of note and located next to the Lincoln Park Conservatory. Occupying the city's former Palace of Fine Arts, used in 1893 at the famous World's Columbian Exposition, the Museum of Science and Industry ranks as the fourth-biggest of all the city's attractions. Visitors will discover a large Omnimax Theater, a coal mine, virtual reality exhibits, a space center and even a German submarine. A car parking area is available onsite, while close by, you may also like to visit the Henry Crown Space Center and the Promontory Point Park. The Aurora Historical Museum was once home to leading Chicago businessman William Tanner and today recreates his life and furnishings during the late 19th century. With traditional antique furniture, clothes, toys, decorations, photographs and paintings, the Aurora also stores many of the city's important archives and documents. The Clarke House is the city's oldest residence and was built in 1836. This Greek Revival-style building, featuring tall columns and detailed architecture, is open to the public and depicts what typical life was like for a middle-class family in the city, before the Civil War. Guided tours are available. Standing just across from the North Lake Shore Drive, the Peggy Notebaert Nature Museum is one of the most popular attractions of its kind in the city, being full of interesting exhibits relating to the world of science. In particular, look out for the Ice Age cave, the walk-through prehistoric coal forest, the many changing exhibits relating to the environment and the interactive children's gallery. The Chicago Historical Society is an interesting museum, featuring nostalgic exhibits and collections. Highlights at the Historical Society include a hands-on Historic Gallery, where children and adults can touch and discover local history and explore the growth of the city. There are also numerous collections of autographs, fashions, toys, tools, furniture, watches, sculptures, posters, important documents and much more besides. This vast museum is one of the city's largest, featuring over 9 acres / 4 hectares of interesting exhibitions and collections, from all over the world. 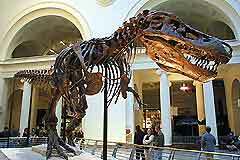 The Chicago Field's most popular attractions include the 'DNA to Dinosaurs' exhibit, where almost four billions years of life is explained, together with further dinosaur-related displays. Full of interesting collections, artifacts, books, civil right memorabilia, drawings, paintings and important works of art by African Americans, the DuSable Museum is actually the oldest independent institution of its kind in America. This attraction is dedicated to preserving the history and culture of African Americans.